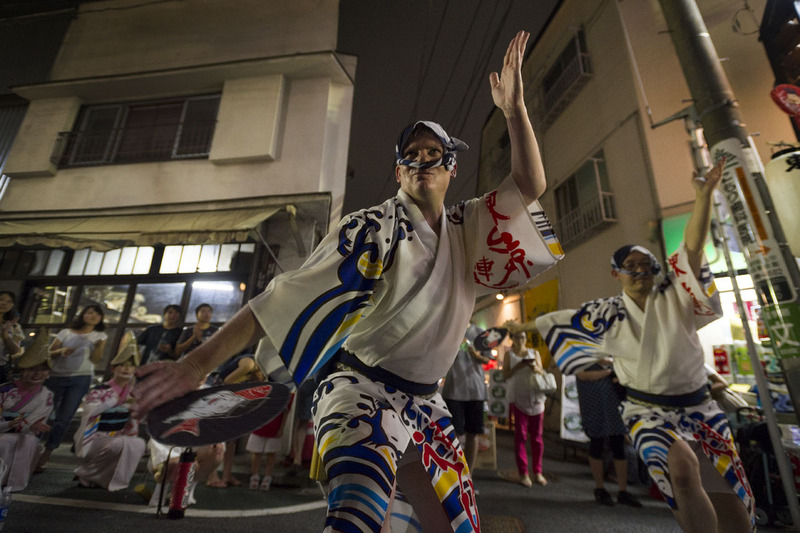 Despite taking place during the hottest weeks of summer, Shimokitazawa this year was unseasonably cool and dry. This meant that it was much more pleasant to perform in, and also that we had a larger crowd than most years. Indeed, last year's performance started just minutes after typhoon related torrents cleared, and the streets were practically empty for the first half of the event. This year there were so many people watching that we had to parade single file in places. The festival itself went on from 6:30 to 8:30, with the last half hour taken up by a set piece in a prime location. That earned us a lively crowd who were more than willing to join in for a finale. All in all another successful performance. 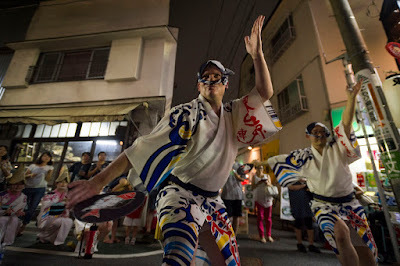 Next stop for me personally is Tokushima, for something a little bit special!